A new investigational West Nile vaccine is heading to clinical trials. Scientists at Oregon Health & Science University (OHSU) in Portland developed an experimental vaccine called HydroVax-001. The vaccine was created with a hydrogen peroxide-based process that inactivates the virus and helps the immune system maintain key activities. The virus in the vaccine is considered inactive and is not thought to cause WNV infection. Preclinical trials previously found that the test vaccine had been effective for protecting mice against the West Nile Virus infection. The vaccine helped neutralize CD8+ T cells and its antibody response. CD8+ T cells are what bind and destroy infected cells. 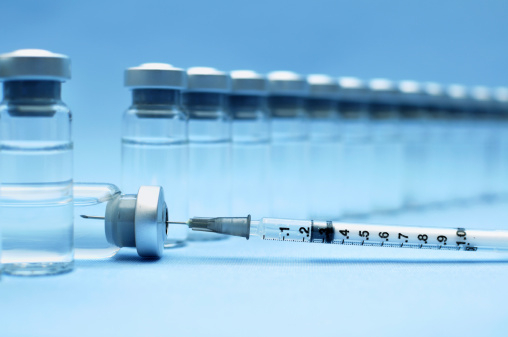 The 14-month randomized trial is designed to test the safety of the vaccine as well as its ability to create an immune response. The study will include 50 healthy women and men between the ages of 18 and 50. Forty participants will receive either a high dosage (four micrograms) or a low dosage (one microgram) of the vaccine. Also, a placebo will be assigned to 10 trial volunteers. Each volunteer will be given an intramuscular infection at day one of the study, and on day 29. The National Institutes of Allergy and Infectious Diseases (NIAID) will fund the study. Duke University researchers will conduct the study, along with a researcher from NIAID Vaccine and Treatment Evaluation Units (VTEUs). In the late spring and early summer, the West Nile Virus (WNV) infection becomes an annual epidemic in the U.S., with bites from infected mosquitos commonly spreading the virus. The Centers for Disease Control and Prevention reports that there were 2,205 new cases of WNV in the U.S. last year, including 97 deaths. There has been a total of 41,762 cases of WNV disease, and 1,765 related deaths between 1999 and 2014. Study enrolment will be complete by December 2015. “NIH-funded vaccine for West Nile virus enters human clinical trials,” National Institutes of Health web site, July 6, 2015; http://www.nih.gov/news/health/jul2015/niaid-06.htm. “West Nile virus disease cases and deaths reported to CDC by year and clinical presentation, 1999-2014,” Centers for Disease Control and Prevention web site; http://www.cdc.gov/westnile/resources/pdfs/data/1-wnv-disease-cases-by-year_1999-2014_06042015.pdf, last accessed July 6, 2015.